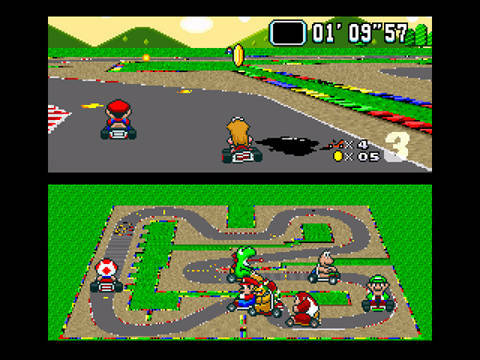 Краткое описание: The Super Mario GoKart Park is open for tons of racing fun! 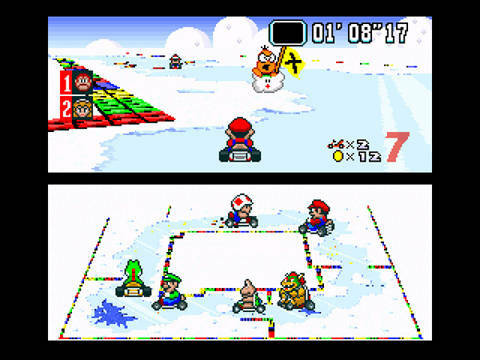 Hit the track with Mario, Luigi, Yoshi and the Princess. 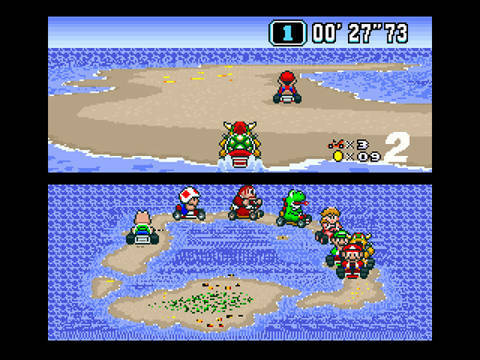 Get tough and lock fenders with Donkey Kong, Jr. and Bowser. 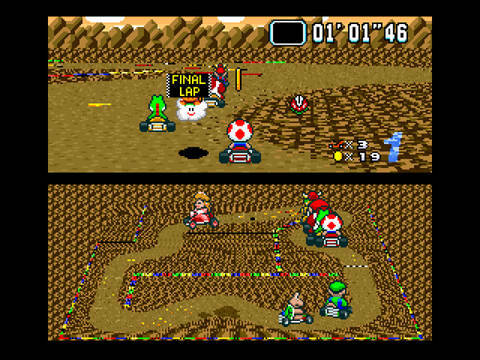 Even Toad and Koopa Troopa will mix it up in an all-out quest for the Gold Cup! 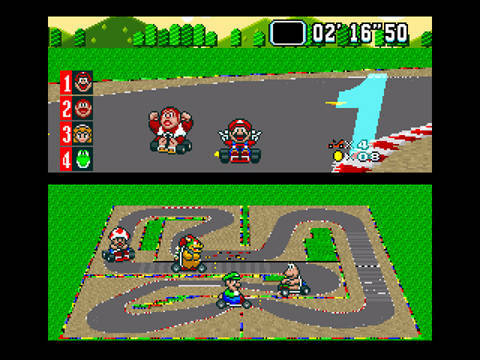 Race head-to-head with a friend or challenge the computer in great, split-screen, Mode 7 graphics. 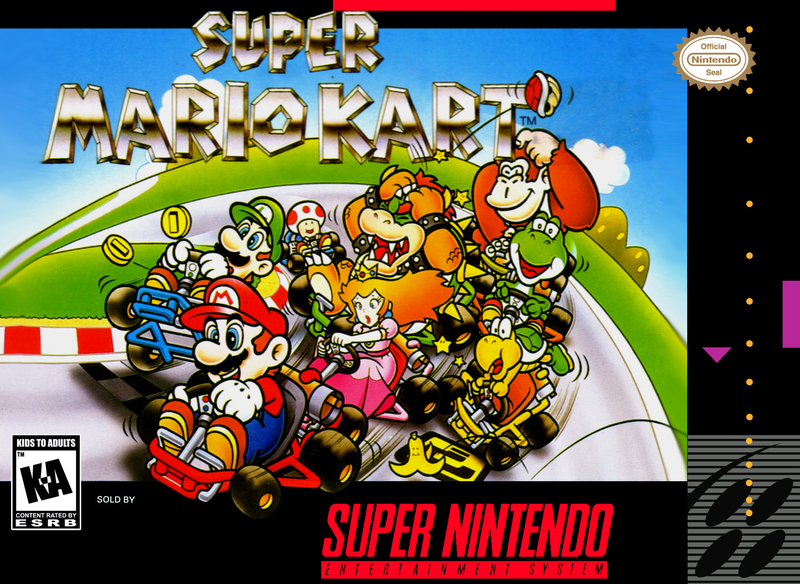 Feel like a bit less speed and a lot more strategy? 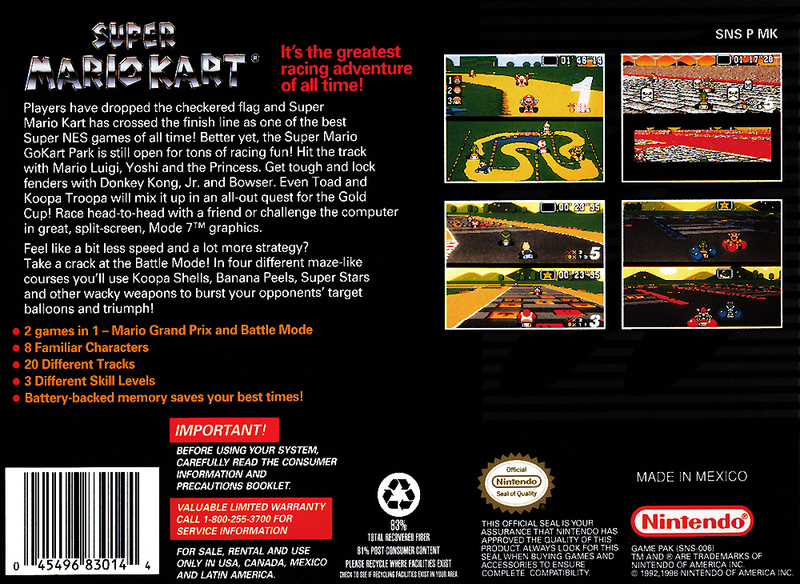 Take a crack at the Battle Mode! 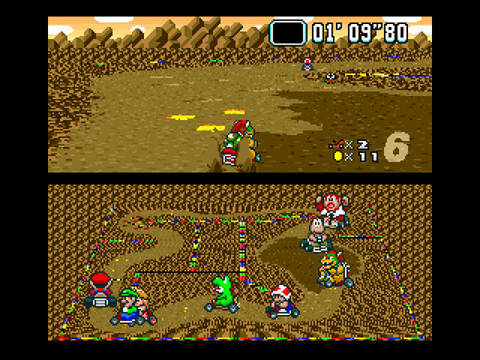 In four different maze-like courses you’ll use Koopa Shells, Banana Peels, Super Stars and other wacky weapons to burst your opponent's target balloons and triumph! * Battery-backed memory saves your best times! 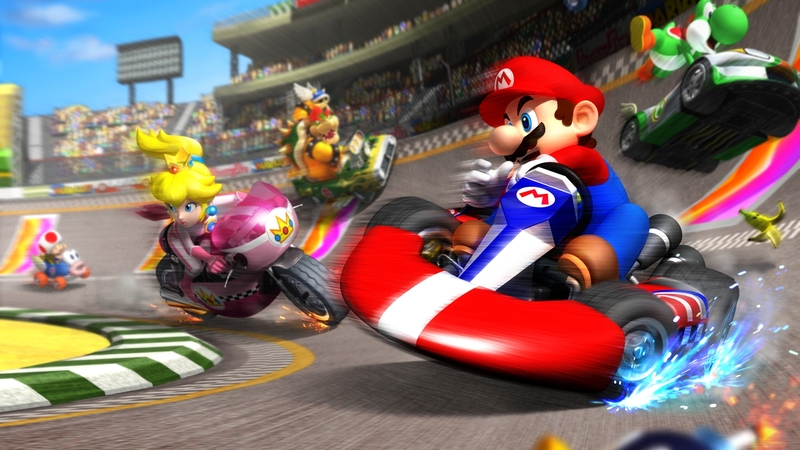 The Super Mario GoKart Park is open for tons of racing fun! 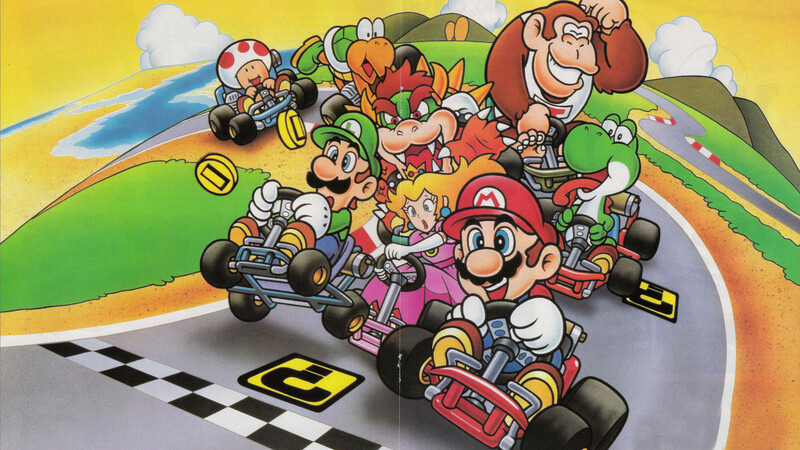 Hit the track with Mario, Luigi, Yoshi and the Princess. 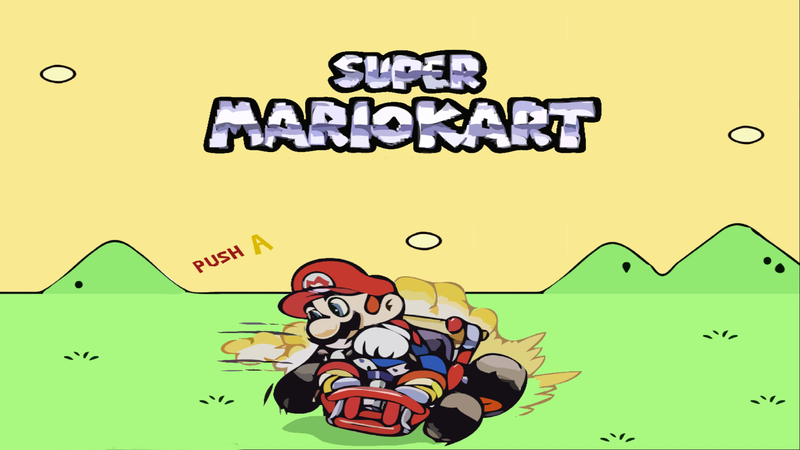 Get tough and lock fenders with Donkey Kong, Jr. and Bowser. 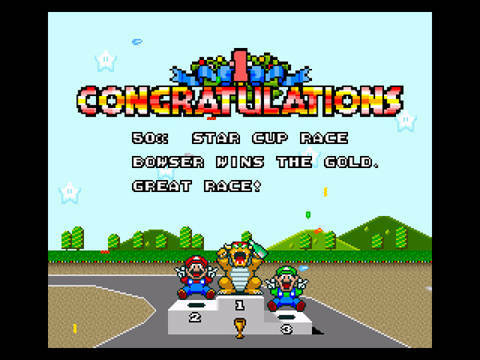 Even Toad and Koopa Troopa will mix it up in an all-out quest for the Gold Cup! 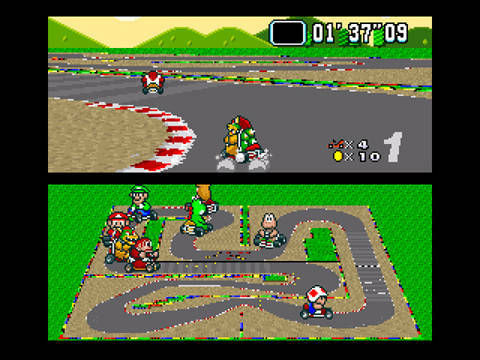 Race head-to-head with a friend or challenge the computer in great, split-screen, Mode 7 graphics. * Battery-backed memory saves your best times!